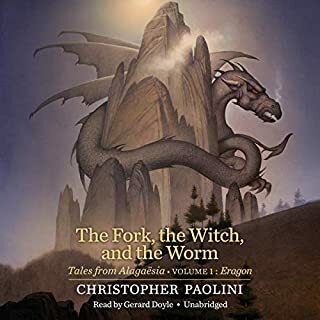 Don’t miss the latest book from the author of Eragon, The Fork, the Witch, and the Worm: Tales from Alagaësia, coming December 31, 2018! 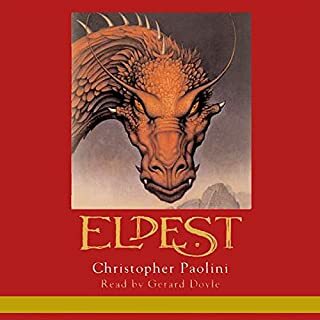 Perfect for fans of Lord of the Rings, the New York Times best-selling Inheritance Cycle about the dragon rider Eragon has sold over 35 million copies and is an international fantasy sensation. First is Eragon’s oath to his cousin Roran: to help rescue Roran’s beloved, Katrina, from King Galbatorix’s clutches. But Eragon owes his loyalty to others, too. 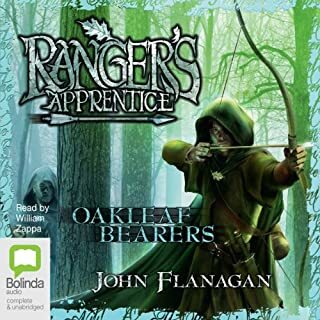 The Varden are in desperate need of his talents and strength - as are the elves and dwarves. 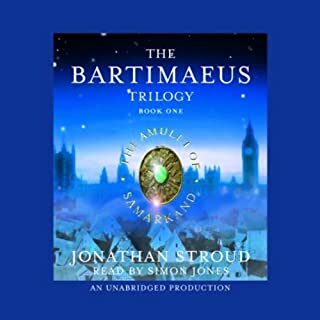 When unrest claims the rebels and danger strikes from every corner, Eragon must make choices - choices that take him across the Empire and beyond, choices that may lead to unimagined sacrifice. 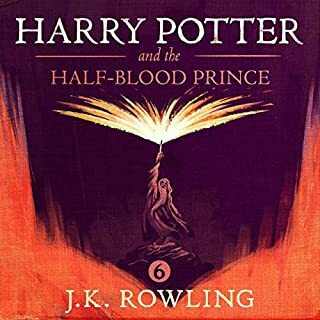 love the entire story so far however brisingr and eldest both had some severe gaps in the audiobook of missing time almost like the app crashed and restarted further into the book. 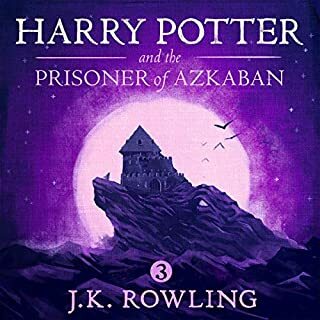 Brisngr and the Eragon series are definitely a must listen! 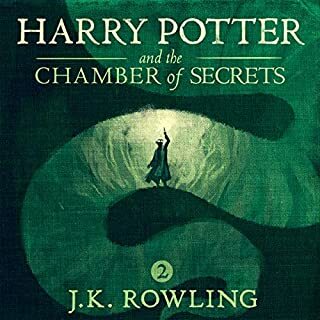 Good story and great narrator but i didn't like that the author instead of going into details about the things that are very important to the story, talk about everything for so long The major events of the book are great but they are interrupted by very long, unimportant plot lines that make the story drag on. The 2 books before this one were better. However, it is worth the read if you can take it. I also found annoying that the chapters didn't match those of the book but this did not affect my rating. 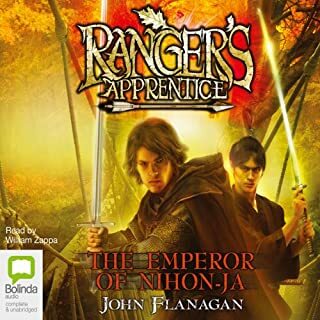 The narrator is for the most part quite good, however with some of the characters, and especially with some of Eragons lines, he can get pretty cringy. The story was excellent. There were many memorable scenes such as the dwarf women, the minoa tree, and gladyr vs thorn. Eragon actually comes across now as being a powerful figure, almost a demi superhero, but the shadow of galbatorixs power is always far larger. The most disappointing part for me is that when we first hear Galbatorix talk he comes across as a changed man from when he destroyed the riders, and I thought that was a pretty interesting development, but then jokes, it turns out he is still your run of the mill tyrant. 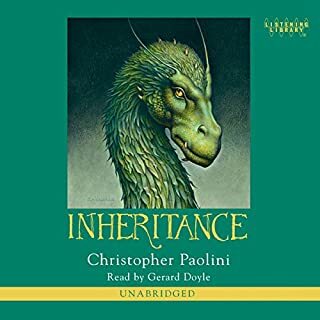 Every time saphira's voice comes on i want to turn it off... great story ive loved the books but this narrator completely ruined the audio book with his "dragon voice"
This book is an absolute gem, a must-read for anyone who might enjoy the genre. 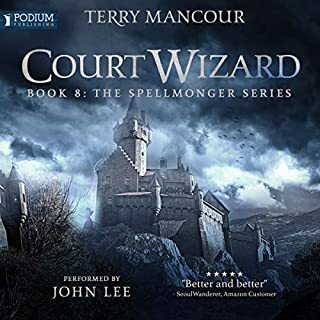 It has everything, adventure, magic, romance, humor, suspense, surprise -- all of the elements that make this the kind of story you want to read over and over again. The narration is very good, except for one vital flaw. The interpretation of one of the lead characters, Saphira the dragon, is way off base, and it ruins the story. 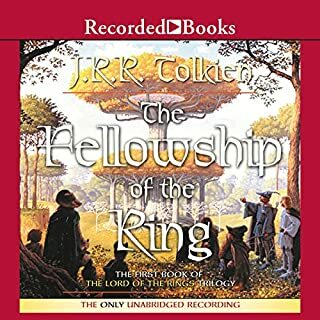 I thought I'd start this audio book from the end and work my way back since I've read the book many times, and thought this would be another way to enjoy it. Wrong, wrong, wrong. Read, read, read the book. My favorite character in this book has to be the dragon, Saphira. She is portrayed as so caring for Eragon. The bond is immeasurable. I have enjoyed following the two of them through all of their adventures. I look forward to the next book series to see what happens. 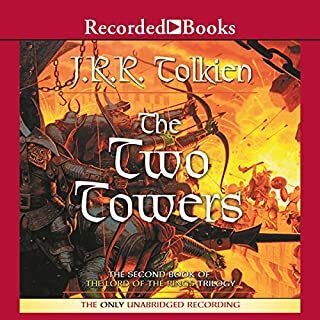 I could have just read this book as I did with the first two, but decided to simply listen to it for a chance. I don't regret a minute of it. I couldn't wait to find a minute of peace to go sit and visit Alagaesia. The narrator did a wonderful job in pronouning the word I couldn't read at all. 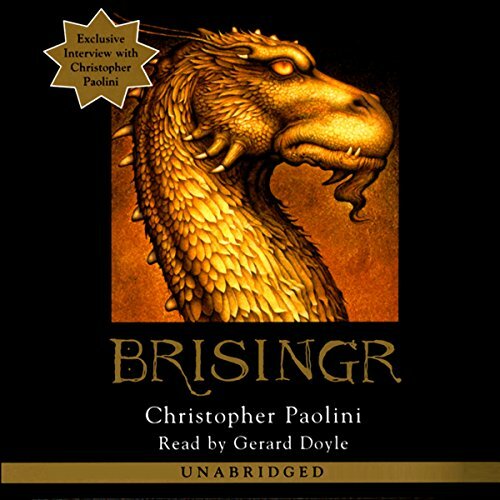 Of course Saphira's voice was not as feminine as I would have like it, but in overall, the narrator did a great job. I'm glad that the story will continue through another book that Christopher is creating. There are still questions to be answer and a war to finish. Christopher has a fantastic mind. I'm sure that his 4th book will be just as good as his last 3 ones. Great detail, great story lines. Can't wait for the next part. Plus I love Gerard Doyle's animation of the characters. His voice is the best ever! 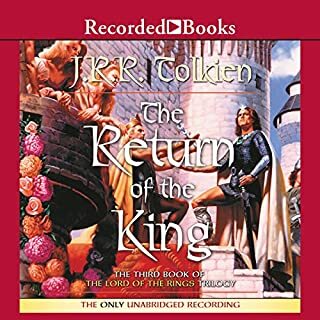 This is a high fantasy epic of the likes of "Lord of the Rings" or "Sword of Truth," and follows the same mythical path that all such stories do, so if you don't like the genre, you probably won't be interested in this. Supposedly the writer is a prodigy who wrote much of this by 19, and it shows. The writing is atrocious. Even my teenage daughter laughed at some of his cliches. Worse, he chooses completely inappropriate verbs and adjectives. Things "slip" when they would more likely "rip," for instance. It is really a distraction throughout, although sometimes completely without discernible pattern he does slip into a skilled narrative tone for a scene or two. That's the negative. On the other hand, the writer's imagination and thorough creation of his universe is worth slogging through the prose. His world of dragons and warriors and thieves and magic and prophecy is vivid and imaginative, and at times does reach the level of Tolkein--though never in writing ability. His characters are surprisingly insightful at times, given the writer's age, although at times they are simplistic. And the story--the journey--is well created. The world is revealed slowly, and with great skill, and mysterious seeds are planted early that take time to bloom. Characters are introduced and left to mature and reappear later. Minor incidents come back to have major impacts. This is where the author is far beyond his years--in the telling of the story. This is where the book becomes worthwhile, despite the prose and the derivative storyline. So, overall, if you like high fantasy of the Tolkein variety, you'll like, and maybe even love this one. It is safe for the kids, mostly, and can keep a family entertained on a long drive. 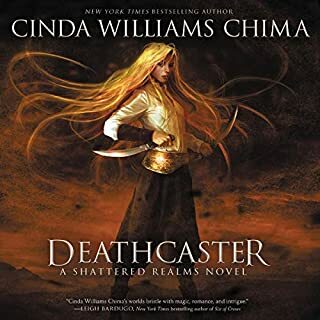 This is some of the best of the high fantasy genre. That's how I rated it. If you don't like that genre, you may not like this. Buy it for the story, not for the writing. I literally counted down the days until this book came out. The first two had me on the edge of my seat for the 3rd. I have to say I finished this with much disappointment. Chapter after chapter of dwarf politics drug out this book an extra few hundred pages and even if that&#8217;s not exactly true it sure felt like it. I just felt like this book didn't follow the direction of excitement like the first two did. More than anything I am very frustrated that it will probably take another year or two for a forth book. Don't get me wrong Christopher is brilliant I just wish he would finish this story and write spin off books on the untold portions, sort of like Orson Scott Card. Ok, so I'm actually really impressed with with the author. Sure it's obviously that he borrowed a little too much from LOTR and Star Wars but I can forgive that for a good story, which it is. That being said. The major problem with this series is that instead of going into detail about the things that are very important to the story, the author seems to talk about everything forever just to prove that he can make this place real for you. 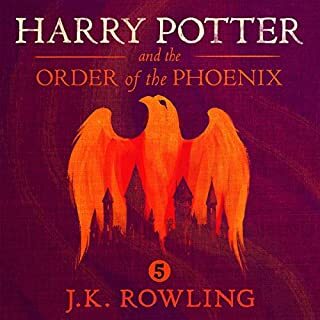 The major events of the book are great but they are interrupted by very long, seemingly unimportant plot lines that make the story drag on. In this book's case, it was forced into two books when it clearly should have been one. This is the first book I would ever say that I think I would have enjoyed an abridged version more. However, it is worth the read if you can take it. I don't mind long books- in fact I generally enjoy them. I agree with some people that this book is one battle after another and that Eragon still seems a bit childish. However, I still like the book and think that if you've read the other two- this one should be read as well. 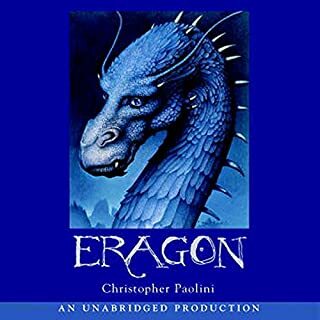 I'm just wishing Mr. Paolini would hurry up and come out with the last book. 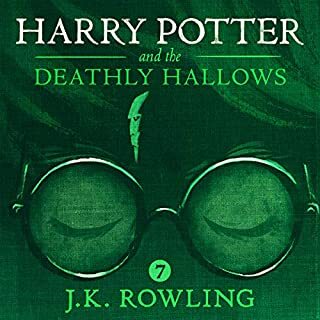 I enjoy the narrator and think that this is a good- but not great book. I also appreciate the fact that I can listen to it with my young children around and not have to worry about vulgarity and bad language. Emotionally flat, with the occasional anthill or small valley, this book leaves you with nothing. Unable to capitalize on his earlier success and grow, this installment by the author lacks the depth and range that make a good premise into a great novel. Instead it is a tiresome plodding series of events that do not flow, and characters whose motivations lack the ring of authenticity. His world has elements that are interesting in and of themselves. It is a place of magic, and mystical creatures, love, war and strife, things that almost always make for a good escape. That is why it got three stars. That he took those elements and made a hash of it is disappointing to say the least. If you are interested in those sorts of worlds, Goodkind, R. Jordan (RIP), and George R.R. Martin are genuine masters, even if they have the occasional flaw. If you read the first two novels of this series, you could take this one or leave it without gaining or missing out. After Elder, I was surprised how good this one is. I had figured out all the revolutions in Elder about half way through the book so I wasn't expecting much from Brisingr. 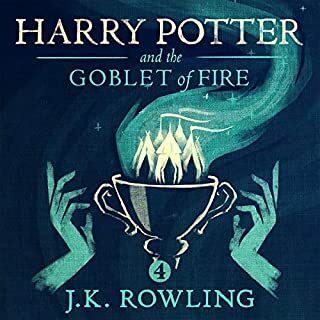 I was pleasantly surprised that this book was so good and am on pins and needles for the conclusion in the next book. Great listen or read!